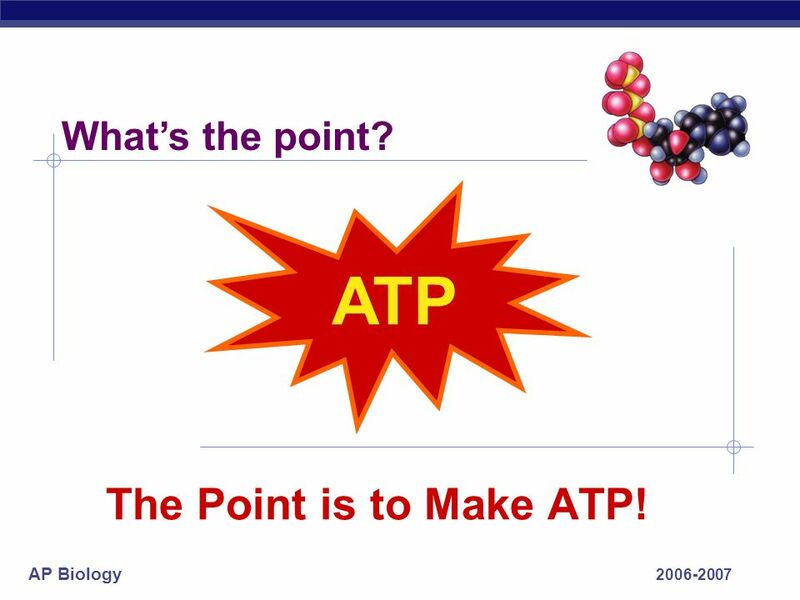 2 ATP The Point is to Make ATP! What’s the point? Whoa! HOT stuff! 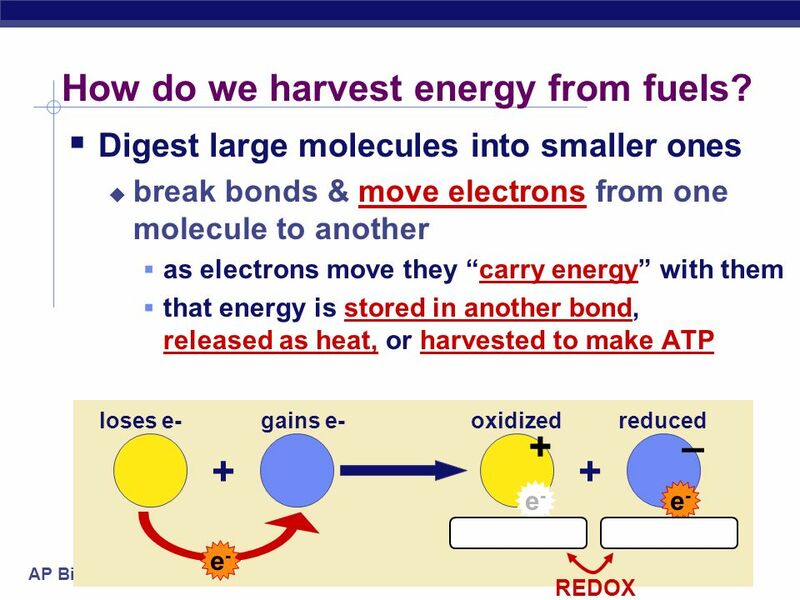 5 How do we harvest energy from fuels? 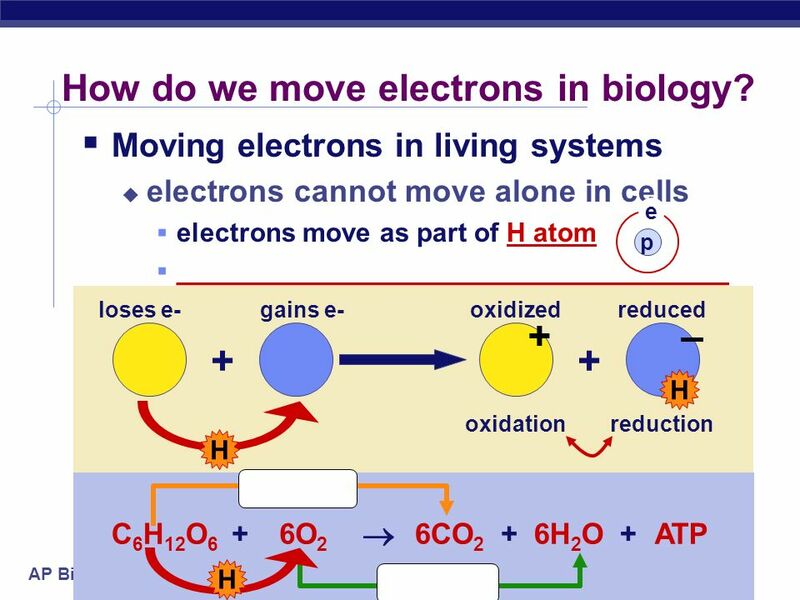 6 How do we move electrons in biology? 11 What’s the point? 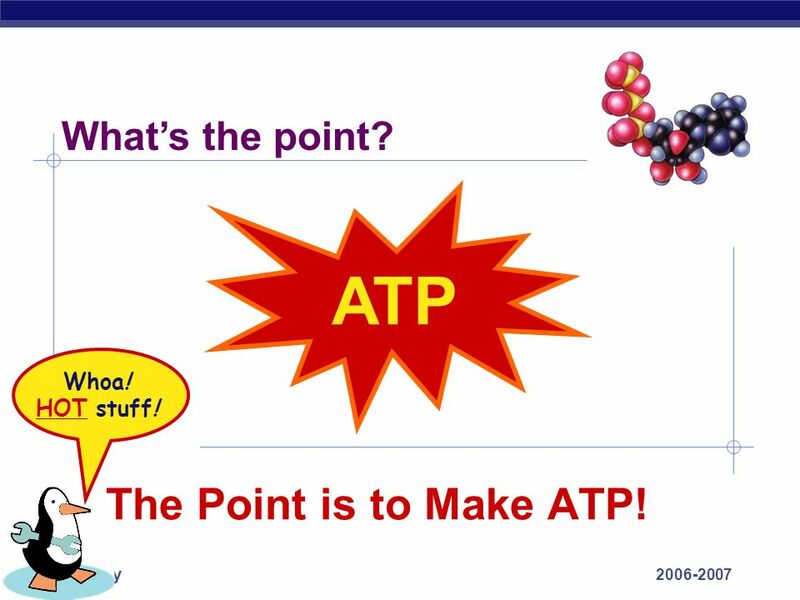 ATP The Point is to Make ATP! 13 Got the Energy? Ask Questions! 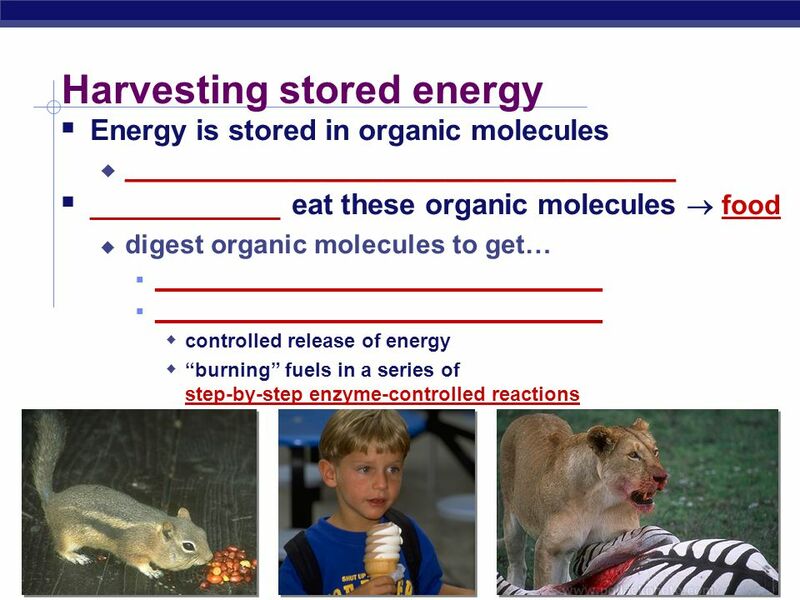 Download ppt "Cellular Respiration Harvesting Chemical Energy"
AP Biology Cellular Respiration Harvesting Chemical Energy ATP. Regents Biology Cellular Respiration Harvesting Chemical Energy ATP. 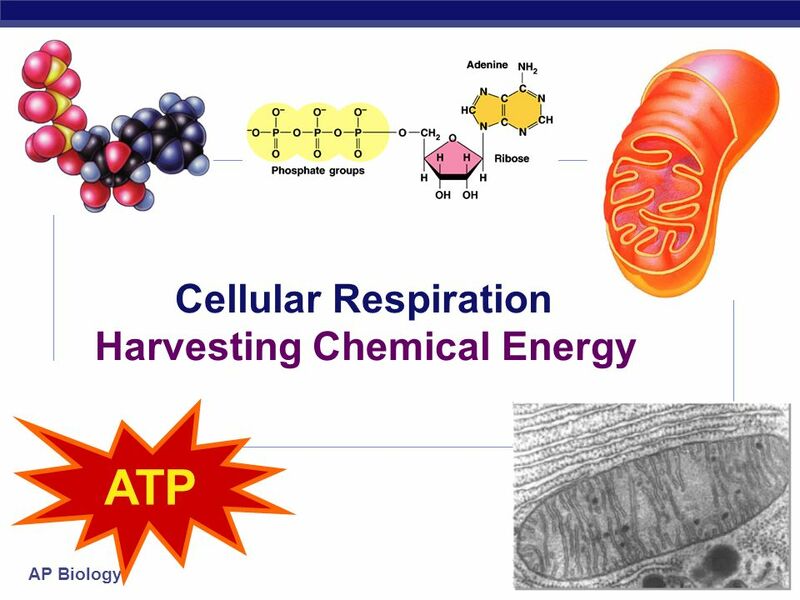 Cellular Respiration The process of turning the energy stored in food (glucose specifically) into ATP. Photosynthesis: Life from Light and Air. 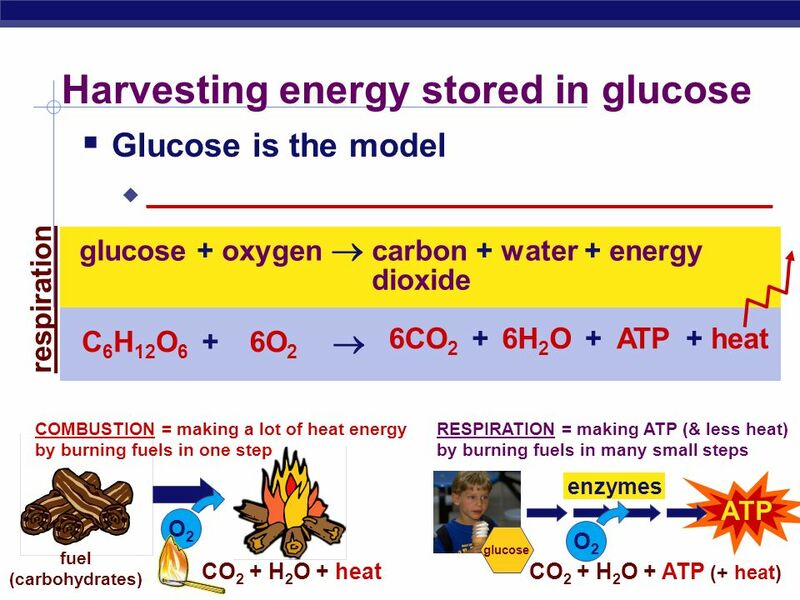 Harvesting Chemical Energy: Cellular Respiration Chapter 8. 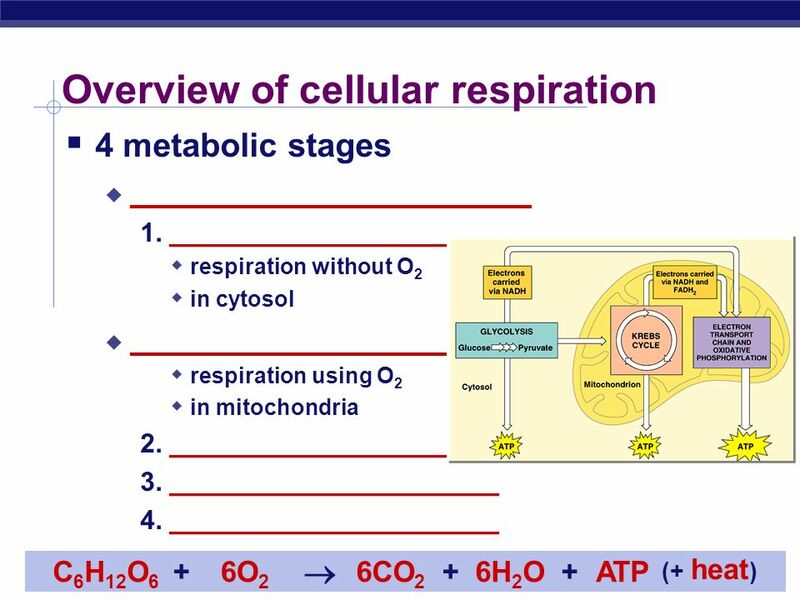 Biology 107 Cellular Respiration September 29, 2004. Making energy! ATP The Point is to Make ATP! 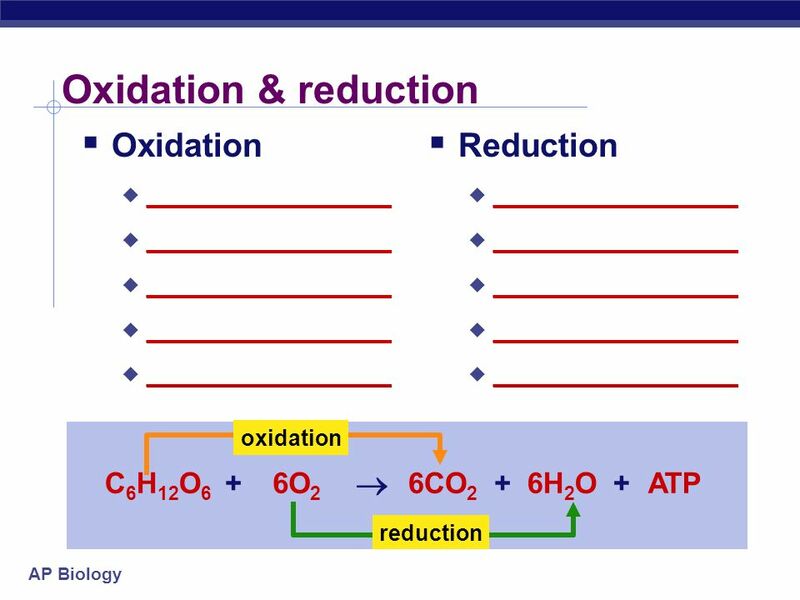 AP Biology Daily Warm-up Friday, October 10 th Describe the Kreb’s Cycle and oxidative phosphorylation. 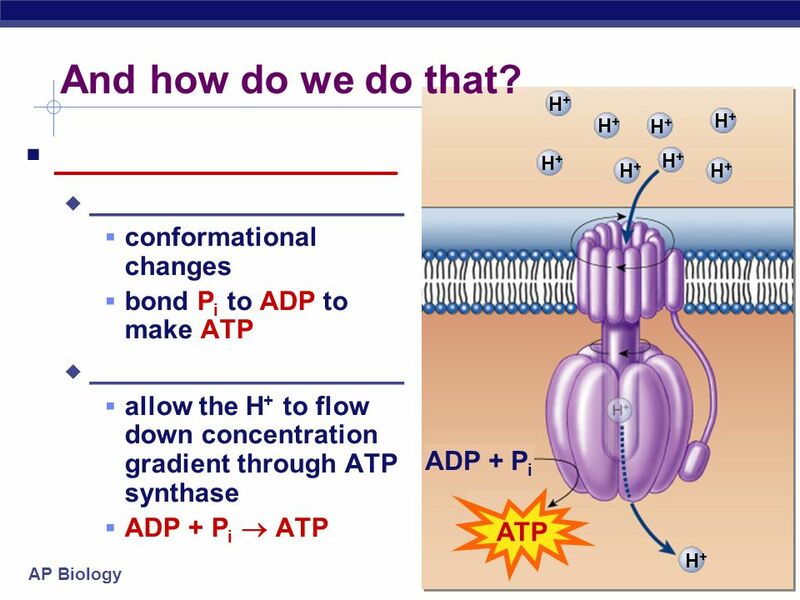 How many ATP are produced in each? HW: -Read 7.5. Biology 107 Cellular Respiration September 28, 2005. 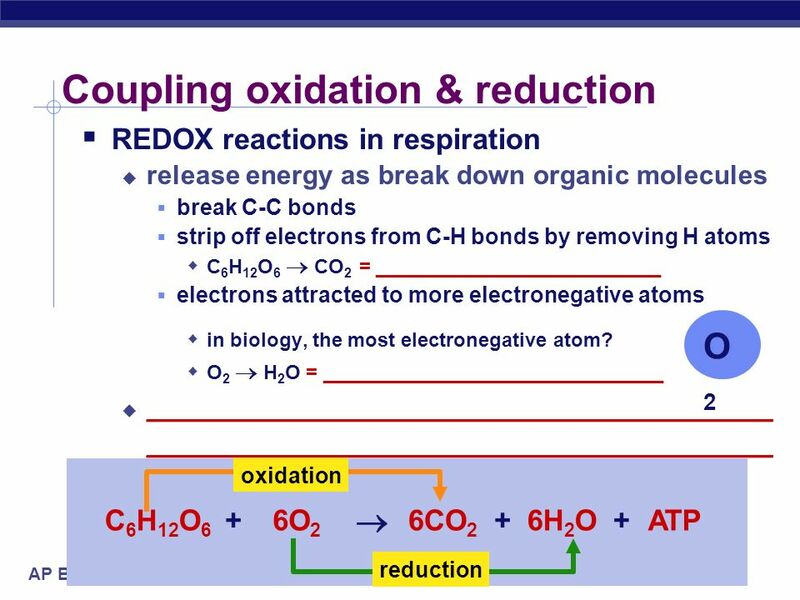 WEEK 6: Cellular Respiration and the ADP-ATP Cycle LEARNING OUTCOMES By the end of these lessons, you should be able to: Explain the series of reactions. 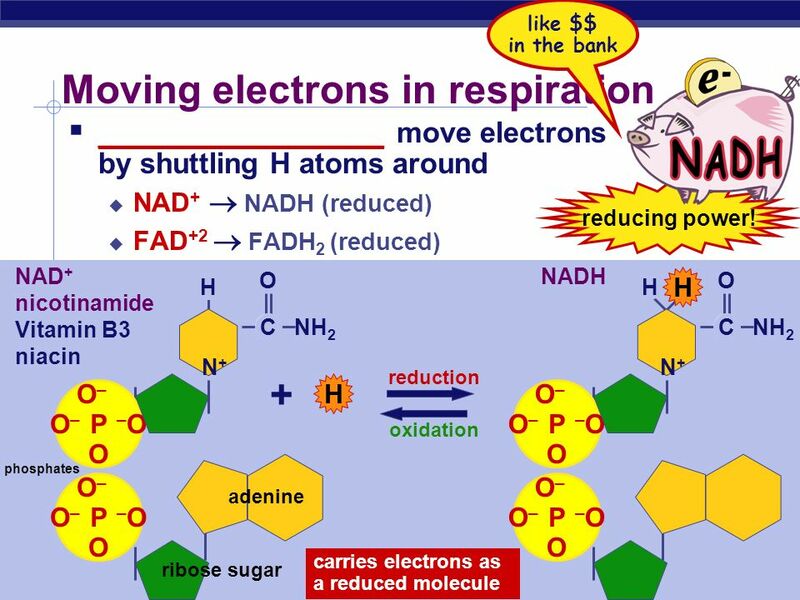 The Start of Cell Respiration Electronegativity The Sharing Game – Some are better at sharing and others are not – Elements are the same way – Atoms. 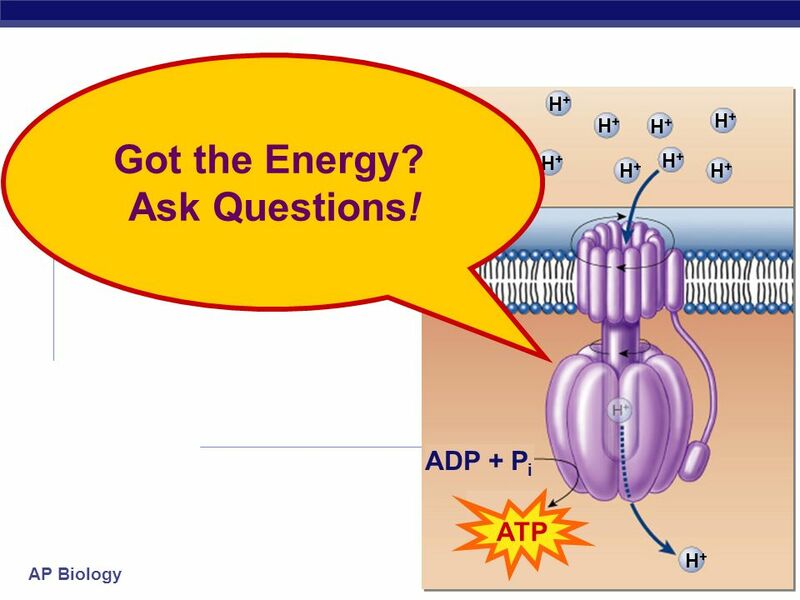 Chapter 8 Cellular Respiration & Cellular Energy.